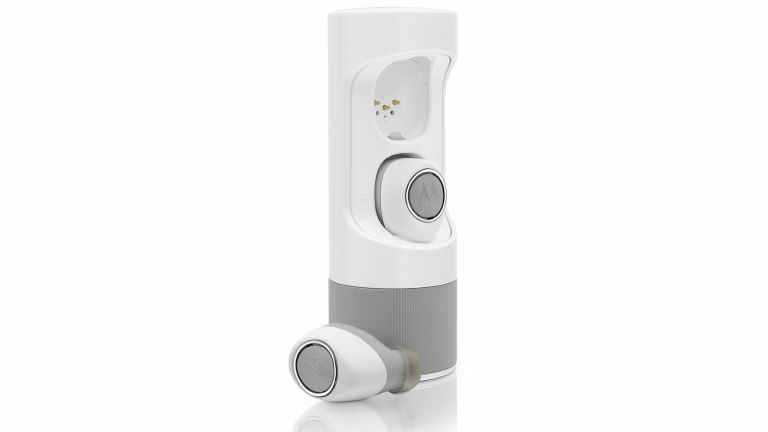 Wire-free earbuds with eight hours of battery and AI voice controls anyone? Motorola has begun selling its latest VerveOnes Music Edition earbuds as the more affordable alternative to the VerveOnes. These also fit into the Motorola VerveLife range aimed at those on the move. Thanks to their wireless build they’re a viable alternative to Apple’s AirPod offering. Some might argue these are better thanks to rubberised earbuds, an eight hour battery via the charging carry case and IPX4 water-resistance. The headphones will respond to voice commands using either Siri or Google Now. This is ideal for making and taking calls as well as controls when exercising. The earbuds will auto pause music when you get calls so everything should work seamlessly. The VerveOnes Music Edition work with the Hubble for VerveLife app which allows for tweaking of the EQ settings. There are also four audio profiles built-in for quick swapping to suit whatever you’re doing. The app is even good for finding the earbuds as it will let you find the last known connected location, should you misplace them. The fact that the earbuds and case look good and charge via micro USB are just bonus points. The Motorola VerveOnes Music Edition will be available later this month for £150 or now in the US for $149.